All of the posts are featured in a Pinterest-style, easy scrolling format with quotes and images to tantalize the reader. People like shiny things and I don’t think adults ever really grow-up and leave picture books behind! A few of the images—selected by Lourdes—are rather hysterical, or eerie, too. All of the posts have easy comment and sharing options. There’s a carousel at the landing page that you can scroll/ click left to right on—I’ll place whatever I deem critical for attention there. The main menu is incredibly tidy and noninvasively hidden behind a small icon to the upper-right of the page. Furthermore, “recommended posts” have been added to each post, based on key-terms and computer-algorithms far beyond what my mortal mind can construe. If you have an hour, you can lose yourself to my ramblings. Heck, some of the posts go back to my old blog—pre-website—which was an ancient, low-rent, no-frills affair. You’ll find posts that I’m sure that many of you have never even read, such as this one—which I believe was one of the first posts I ever made, 3 years ago: “An Evening with Katharine Hepburn.” For me, reading this stuff has been a bit of a blast-from-the-past experience. It’s interesting to see how I’ve grown and what I’ve left behind in the years since I began my new career. Moving on, the World and Store sections have had complete overhauls. In particular, the sliders and layout of the subsections for World have been brilliantly done. It’s worth noting that the site looks great, and runs fantastically on smart-devices. It’s very gesture friendly. The new Gallery is where we’ll be featuring the latest art from Mr. Leo Black, and again has a clean aesthetic. He’s the “official” artist for my work and world(s) now, so you’ll be seeing a lot of his contributions in the future! On that last note, “worlds”, you may have noticed that I changed from “fantasy author” to just “author”. You didn’t think that Geadhain was the only world I had in my head, did you? It’s certainly my favorite, and most beloved, just like a first love. However, I wanted the new site to be ready to expand with me—once these four books are complete—into other realms and tales of speculative, feminist, fantasy, horror, romance and Science Fiction. Next week, I’ll be returning to my usual flow of thoughtful, conversational posts. You can also look forward to a number of new media appearances and interviews thanks to Rachel, the-hardest-working-agent-in-the-world over at Gal Friday Publicity. Until then, take a peek around the new site, check out some articles you’ve never seen before, and stay a while to chat in the comments with myself, or other digital friends and fans of Geadhain. We have a grand and beautiful world, and we’re all connected. I hope that you feel at home and more connected to myself, my world(s) and each other through this new, interactive playground. It’s as much a gift for me as it is for you. I’m so glad to hear that you’ve fallen for Geadhain and it’s colorful cast of inhabitants! 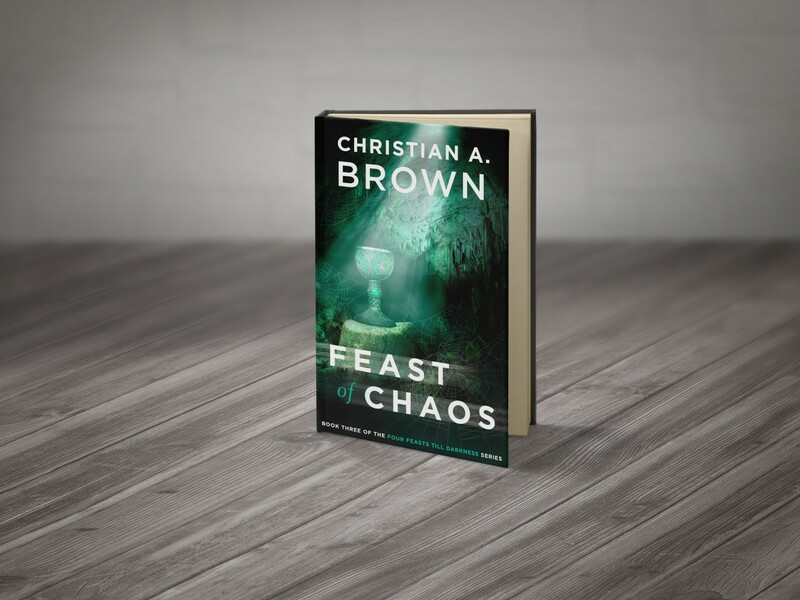 I have to admit, even some of the less savory characters hold a special place in my heart 🙂 Since Feast of Dreams is out, you can jump right into that if you so desire, and the editors are busy carving up the 3rd manuscript as we speak. Thanks again for reaching out, I’m humbled to have your support. Feel free to leave a review on Amazon.com/.uk or Goodreads, or just tell a friend how much you enjoyed Feast of Fates. All the best.